Where are you located? Do I have to travel to your office? We have coaches in Australia and the US and work with all of our clients virtually via phone or video conferencing. Do I have to be tech-savvy to work with you remotely? I’m very grateful for how easy it all is, the way you have everything set up to interact with clients. I don’t interact with the online world much and there’s a LOT I’m not familiar with and don’t know how to do, and end up getting stuck in and stressed over when Bryan’s not around to bale me out. Things like Zoom and Dropbox and Fullscript are all alien to me. But your set-up practically does everything for me, and has all been super easy to use. Is this covered by insurance? No, but lab and supplement fees may be paid for with a FSA account. Are lab fees included in consultation packages? No, lab fees are paid directly to each lab and range from 150-500 USD per lab. 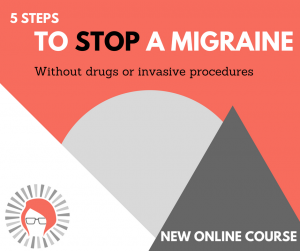 I’ve seen a lot of different practitioners and tried everything that is recommended for migraine sufferers. Is your approach really different? Yes, we see migraines as a natural process and your body’s reaction to an overload of stress (including internal stressors that you may not even know are linked with your headaches like an impaired ability to absorb nutrients from your food). Read more about how a functional nutrition approach is different from what you have tried before here: https://www.engineeringradiance.com/what-are-migraines/. Should a person suffering from migraines see a doctor right away? Definitely, talk with your doctor about your migraines and any changes that you’ve noticed (such as when they started coming more frequently) to rule out anything serious. Additionally learning about whole food eating and making healthy lifestyle changes can help build resilience to migraine triggers over time, which is what we do at Engineering Radiance. Why do you need to think like an engineer to solve health issues? Sadly the current medical model revolves around treating symptoms and managing problems rather than looking for root causes. Engineers are highly trained in looking at problems from different angles and solving the root cause(s) rather than patching up symptoms. Treating symptoms is useful in the short term, but we empower you to go deeper, think holistically and implement the changes you need to help your body heal. Is a pharmaceutical engineering background enough to recommend medical relief programs to patients? We don’t provide medical advice, diagnose or treat disease or take the place of someone working with a doctor. Engineering Radiance is a team of certified health coaches and functional nutritionists that educate people about self-care and lifestyle options to improve their overall health! Have people gotten good results working with your team and your program? Yes! But don’t take our word for it – read their testimonials. I am a vegetarian, are you going to tell me I have to start eating meat to be healthy? No, we don’t believe in a one-size-fits all approach to diet. You will learn how to listen to the signals your body is telling you about balancing the ratios of fat, protein and carbohydrate at each meal and fine tune along the way to find the diet that gives you lasting vitality and energy. Do you require people to purchase a specific line of supplements or nutritional products? No. We provide recommendations for a range of high-quality products through FullScript at a discount of 15% off retail (US/CA only. We can recommend other sources in Europe, Australia and Asia). In most cases, substitutes are available and adaptations will be made for food sensitivities. Online classes and books have a 90-day satisfaction guarantee. No refunds on New Client Case Reviews or medical director fees. If there are questions outstanding after our sessions, I will do my best to help resolve them or find a resource to help. 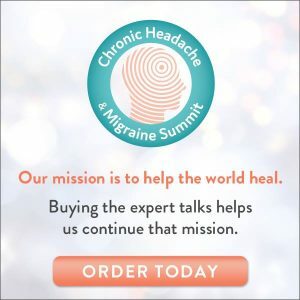 A consultation package, such as the 3-month Migraine Freedom, would be refunded for up to 90 days at the total cost minus the used sessions at retail pricing. After 90 days, the package is not refund eligible. Online products and New Client Consultations are available for purchase directly from this website via major credit/debit card or PayPal. Labs will be shipped when payment has been processed. You’ll receive a link to schedule online for Case Reviews and other follow up sessions. If you don’t see something that works for your time zone, work schedule, etc, please ask. Does Engineering Radiance offer functional lab consults to clients already working with a health coach or practitioner? I’m deciding if I should go see a local naturopath or MD or set up a call with you. Why should I talk with you? First of all, working with our team doesn’t take the place of having a local physician. Please do have one. And while seeing a doctor is important and can be helpful, you may be left with a lot of questions like what did those test results really mean? How do I do an elimination diet without starving? Do I need to take magnesium forever? What kind of water filter should I buy? Having a team of coaches and educators behind you and guiding you through a structured program like ours ensures you will be moving forward and getting results not just recommendations. Additionally, very few doctors and even neurologists are truly headache specialists. Standard medical training provides just 4 hours of headache education and general practitioners are required to be able to treat and diagnose hundred if not thousands of conditions. Most of our clients say that they feel heard and understood for the first time when working with our coaches who have experienced migraines themselves. Why would I want to work with a team instead of just one practitioner? Receive personalized resources and follow-ups from Erin throughout. Wait, I really wanted to talk with the founder, Erin Knight. If you have questions specifically for Erin, set up an “Ask Erin Anything” session. Our 3-month coaching programs include two 1:1 session with Erin. Information provided by Engineering Radiance may not be construed as medical advice or take the place of consultations with a primary care practitioner. We do not diagnose, treat or cure diseases. Health consultations provide motivation and data to guide a client’s self-care journey of building up healthy function and establishing a health-promoting lifestyle. Please reach out at info@engineeringradiance. Look forward to serving you!